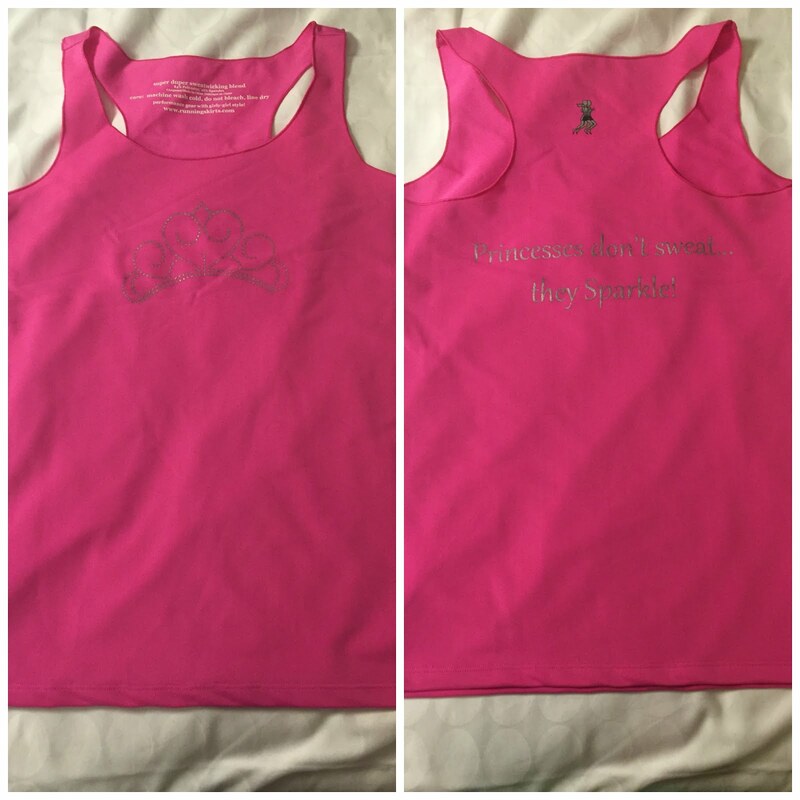 Road Runner Girl: Disney Princess Weekend Day 1...Expo 2016! The weekend started on Wednesday afternoon. I had to work that day and when I got off at 1:30 we were on our way! Katie and Jenny met me at my house, we packed the rental car, and then we headed to Florida!!! The plan was to make it to Gainesville and stop. We would spend the night there and then get up and drive the rest of the way to Disney...and make it for the opening of the expo! Our drive went great! And of course we made a Starbucks stop! We stopped for a quick dinner. We ate at Waffle House and it was so yummy! We didn't have a ton of options before making it to Gainesville but we were all happy to eat at Waffle House! And it was cheap! By the time we made it to our hotel it was dark and late. We were glad to be there for sure! I slept great that night! Then I woke up pretty early to get in my run. Jenny was super sweet and came and ran with me since it was early and dark outside. I was so thankful to not run by myself in an unfamiliar place! We got showered and dressed and then enjoyed the free continental breakfast the hotel offered. Then it was time to hit the road again for the expo!!! We were three excited Princesses!!! It didn't take long and we had made it to my favorite sign in the world!!! We made it to the World Wide of Sports just in time! Our plan was to head to the official runDisney merchandise first. Then we would get our race bibs and shirts after. When we walked up there was a HUGE line to pick up bibs. But we were able to just walk right into the expo! Sweet! Of course once we got inside it was a mad house! The official merchandise area was CRAZY!!!! Everyone was in search of something! I had several things on my radar: the Princess Half jacket, the gray tank tops, magnets, a coffee mug, and the Tervis tumbler! The cast members were running around so busy! But they kept bringing out more merchandise and it would be gone within a matter of seconds! So crazy! I managed to get everything on my list thank goodness! After standing in a huge line to pay for our stuff we were starving and ready for lunch! We still needed to get our bibs. But we decided to eat first. We ate in the World Wide of Sports. I got a chicken sandwich. It satisfied my hunger but it was probably the worst thing I've ever eaten at Disney! The chicken was super tough. I am writing this so I remember to never choose that again! After lunch we headed to get our race bibs! Luckily there was no wait! We got a cute Instagram picture taken with runDisney! Then we had to return to the expo to pick up our 5K shirts. The Glass Slipper Challenge shirts were in the same area as the race bibs so that was super easy. Before lunch the line to the expo was so long! But it had died down some thankfully. We were fueled and ready to shop some more! The royal footmen were out for all the princesses to take pictures with! We did some more shopping. And even had more photo opps. And while I was in the expo I got a super sweet message from Cindy at runningskirts.com. She told me to visit their booth and pick out my comped Princess Tank!!!! I was soooo excited and thankful! I loved it so much that I ended up wearing it for the 5K! LOVE this company!!! It didn't take long and we got tired and were ready to go check into our hotel. The expo can be overwhelming and we had all reached that point! On the way out we stopped for the photo opp that we skipped on the way in since we were trying to make it to the expo opening. I was disappointed that they didn't have the signs for each race out to take pictures in front of. They had these in the past but we didn't see them this time. This one was the only one we saw! Then we headed back to the car and headed to Pop Century to check in! The coolest thing...when we were unloading the car we looked up and saw an airplane writing this message! Amazing!!! We got checked in and then it was time to get all settled! Jenny was super sweet and made decorations for our window! I LOVED it!!! So cute! I also had to look at all my goodies from the expo!!! Later that afternoon we headed to Disney Springs for some more shopping and dinner! We all wanted to eat at Earl of Sandwich! It was amazing as always! Then we headed to Ghirardelli for some ice cream! So yummy! After ice cream we headed back to the resort. We had an early wake up call for the 5K the next morning! Of course I laid out my Flat Road Runner Girl for the 5K! I was super excited about my mermaid leggings!!! Then it was lights out! We were waking up at 3:30 AM! Stay tuned for my Princess 5K recap!!! QOTD: What is your favorite thing about race expos? Do they overwhelm you?